When clips and straps are too much hassle, but you still want the security of a toe clip, the half clip is the perfect compromise. No straps are necessary, but you still get the rigidity of a full clip. 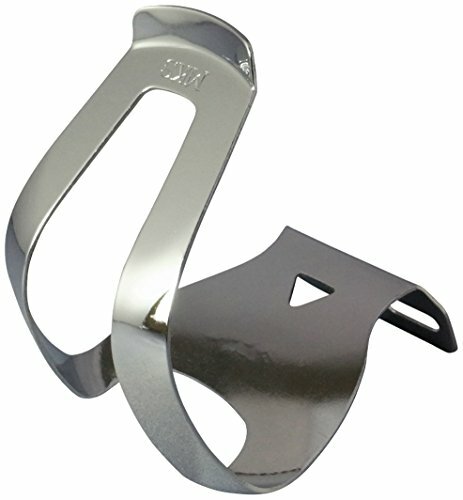 This specific half clip features a deeper section to easily accommodate standard shoes and boots. One size fits most! Deeper section to accommodate standard shoes, boots, etc. Includes all necessary installation nuts and bolts as well as allen wrench! If you have any questions about this product by MKS, contact us by completing and submitting the form below. If you are looking for a specif part number, please include it with your message. Lowrider Steel Pillar Seat Post 25.4mm Chrome.